Will You Marry Couples Who Are Non-Members of WUMC? Can I Bring In My Own Organist? Does The Church Have An Aisle Runner? Can I Attach Bows To The Pews And How Many Are There? Can I Have Rice or Birdseed? What is a Wedding Liaison? What Are The Fees of a Non-Member Wedding? The people of Westlake United Methodist Church join in expressing congratulations and best wishes to you as you plan to marry! It is our prayer that your wedding ceremony will be a happy, memorable and God-centered experience for you and your family and friends. Marriage is meant to be joyous as it finds its fullest expression in the awareness of God's love. It seems fitting, then, that your wedding ceremony should be within the church. If you are not already a member of this congregation, consider this church as a place where you can grow in your faith as your love for one another grows. At Westlake United Methodist Church we welcome couples who are not members of this church. The following information is meant to be a helpful tool if you are considering getting married at Westlake United Methodist Church. Yes, at the discretion of and after consultation with the Senior Pastor. At the discretion of the WUMC Pastor, your pastor may be invited to co-officiate a wedding at WUMC. Music is an important part of the marriage ceremony. New forms of music, such as recorded or electronic music, are being used on occasion, but the organ still remains the more traditional and chosen instrument. The WUMC church organist must be consulted and give approval for any other organist. Couples are encouraged to have a conference with the organist. The actual selection of music can be arranged over the telephone or face-to-face. WUMC's organist is experienced and well qualified to give you guidance in the selection of music. NO, the church does not own an aisle runner. If an aisle runner is desired, it is the responsibility of the couple to order one, most likely through their florist. The aisle requires a 100-foot runner. Yes. There are 44 pews (22 per side) in the sanctuary. You must use alternate methods of attaching bows. Please do NOT use tape on painted walls or woodwork. A florist can help you in these matters. NO, Westlake UMC does not allow the throwing of birdseed, rice, or any product that requires special clean-up. Bubbles, etc. are great alternate choices. THE USE OF ALCOHOLIC BEVERAGES OR SMOKING IS NOT PERMITTED ON CHURCH PROPERTY. This is the case whether or not the reception is at the church. A Wedding Liaison will be assigned after your wedding date is confirmed. He or she will be your contact person for all logistical and financial matters in dealing with your wedding. This person will be at your wedding rehearsal and also at the wedding about 1 ½ hours before the wedding start time. A $200 non-refundable deposit must be made to reserve a date on the church calendar for your wedding. Final payment of all fees must be made two weeks prior to the ceremony. Checks should be payable to "Westlake United Methodist Church" and given to the Wedding Liaison. 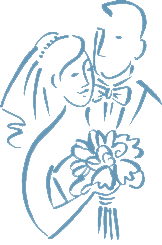 If you would like to check on a date for your wedding and/or have other questions, please do not hesitate to call the church office at (440) 871-3088 and talk to the Office Manager.